Urtak is a nifty little tool. It’s free and I must say can be a little bit addictive. Google Plus Social Network Invites – WordPress Killer? I just want to say, with some time and continuous updates I can see Google Plus replacing my WordPress blog. Especially since I don’t blog very often anymore 🙂 Seriously though, if I could CNAME over to my G+ and customize the theme and CSS I’d be in business. In the meantime I’m sticking with the awesome WP, but hear me now.. G+ isn’t an FB killer, but perhaps it’s the WordPress killer! 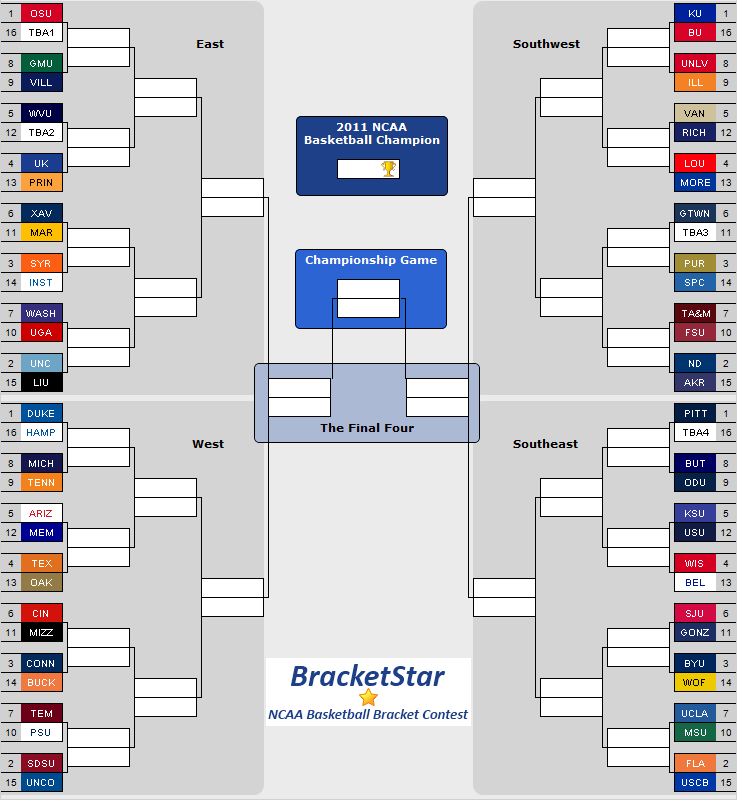 Are you stoked about the 2011 NCAA Basketball Tournament? Are you a Facebook user? If you answered yes to both of these questions.. you should give yourself a cookie 🙂 Actually, what you should do is take your March Madness and go play the BracketStar NCAA Basketball Brackets Contest. 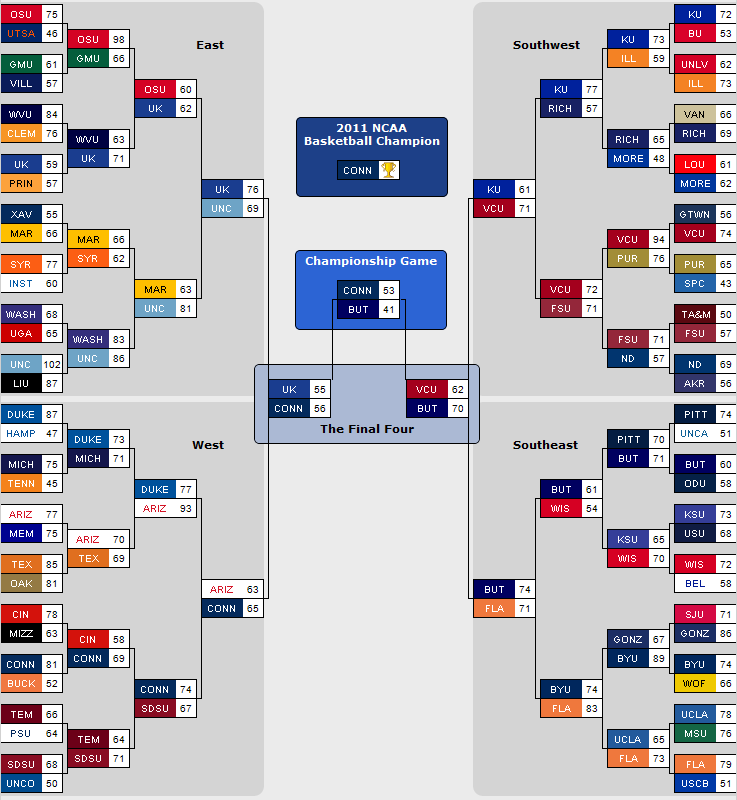 It’s a Facebook exclusive March Madness Bracket app. If you’ve used Gmail Manager for Firefox but have been looking for the equivalent on Chrome, or if you’re just looking for a chrome extension to manage multiple Gmail and/or Google Apps email accounts, then you’re in luck. The maker of Gmail Manager for Firefox hasn’t written a port for Chrome, but there is at least 1 very good Chrome extension for managing multiple gmail accounts as well as multiple google apps email accounts. After trying a few, the one I’ve really come to like the best is Simple Gmail Checker. The interface isn’t exactly like Gmail Manager for FF, but you might actually like it better. It’s not the most downloaded gmail add on for chrome, but it probably should be. That is, if you have multiple gmail accounts and/or google apps email accounts. So, here’s my shout-out to another extremely helpful chrome extension! Gmail Checker Plus is a decent chrome extension for multiple accounts, but it has problems with multiple addresses from the same domain. This makes the add-on worthless if you actually monitor more than 1 email address on a domain. Nice try, better than nothing, but Simple Gmail Checker handles this scenario flawlessly! If you’re looking for an add-on to manage multiple gmail and google apps accounts with Firefox then Gmail Manager is the way to go!